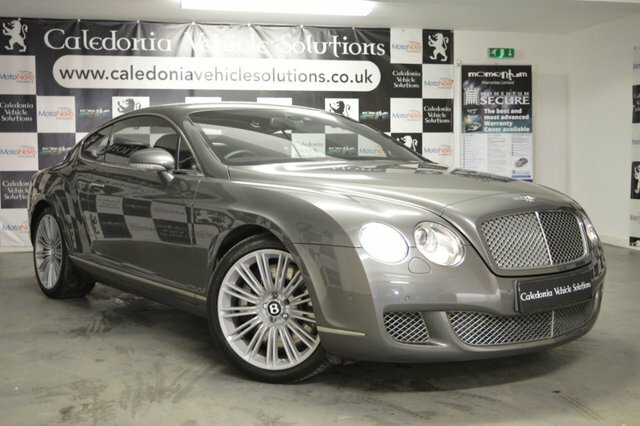 Get an amazing deal on a pre-owned Bentley today at Caledonia Vehicle Solutions Ltd. We stock a huge range of vehicles, including beautiful Bentleys in excellent condition. We are a well-established, family run business, who have been in the car industry for over 30 years. Our knowledgable sales team are here to make your time with us easy and stress-free, and we ensure that you get all the information you require. With every purchase, we offer amazing finance deals to every customer, no matter what your credit rating is, to ensure that you can purchase your dream car. Located in the beautiful town of Ayr, we are easily accessible and deliver vehicles all across the UK. Order your perfect Bentley straight to your doorstep! Get in contact with our team today!